Recently, Mango Materials was recognized for their successes with the NSF SBIR and NASA STTR program. This post highlights the early methane to biopolymers work here on Earth using the NSF funds along with the more recent methane to biopolymers in a microgravity environment funded by NASA. We are honored to have received this funding and are looking forward to continuing to share results and lessons learned. Read the full post on the SBIR website by clicking here. Mango Materials has been selected for a Phase II STTR award from NASA to explore the production of biopolymers in a microgravity environment. 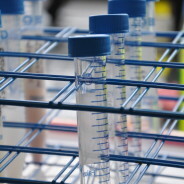 This funding (titled “A Novel, Membrane-Based Bioreactor Design to Enable a Closed-Loop System on Earth and Beyond”) will aid in continuing the work from the Phase I award. Mango Materials will once again collaborate with Colorado School of Mines to complete this research. Read more about the awardees here. Mango Materials was featured in a US Department of Energy (DOE) blog post called “5 Everyday Products Made from Biomass: A Few May Surprise You”. This post highlights DOE’s Bioenergy Technologies Office (BETO) work behind the scenes, partnering with industry, universities and national laboratories to improve the technologies that produce homegrown bioproducts such as fuels, cosmetics and perfumes, food additives and nutritional supplements, detergents and cleaning products, and plastics and other materials. Click here to read the full blog post by Valerie Sarisky-Reed. 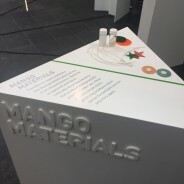 Emily O’Dowd from Bio-Based World News sat down with Anne Schauer-Gimenez, VP of Customer Engagement at Mango Materials for a 5 minute interview. Anne discusses her motivation for going into the biobased industry along with advice for other start-ups in this space. 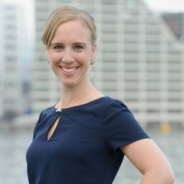 Check out the interview here ahead of Molly Morse’s presentation at Bio-Based Live Americas in San Diego on September 26-27, 2017. 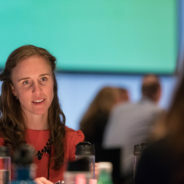 During the Launch Circular Innovation Summit on March 2 and 3, 2017 at the Nike Headquarters in Portland, former NASA Astronaut Cady Coleman interviewed Molly Morse and Cyrus Wadia (from Nike) about the need for ecosystems of thinkers and doers from unlikely places. They consider what system level changes are needed to accelerate a circular economy. Molly also talks about how Mango Materials is transforming waste gas streams into affordable biodegradable materials that are functionally and economically competitive with petroleum-based products. To watch all of the videos from the Launch Circular Innovation Summit, click here and scroll down to the “Launch Circular” section. A recent article written by our friends at the Green Chemistry and Commerce Council (GC3) highlights how partnerships are key to getting green chemicals, materials, and technology to market. Based on the findings from a one-day workshop entitled “Leverage Partnerships to Accelerate Green & Bio-based Chemistry Innovation”, the article outlines the essential elements for a successful partnership, which include strategic alignment, internal champion, and patience and flexibility. Mango Materials is a part of the GC3 Start-up Network and attended Green & Bio-Based Chemistry Technology Showcase & Networking Event in Grand Rapids in April 2017. In a post for World Positive, Thomas Ermacora discusses a dawn of new alchemists where companies are doing good things for the environment and turning the current way on manufacturing on its head. The four companies in this session include, Global Thermostat, OPUS 12, Mango Materials, and BIG. Each of these companies are looking for ways to get things done now in order to transform problems into solutions. Click here to read more about these new alchemists. 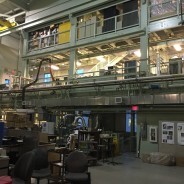 As part of the US Department of Energy’s Small Business Voucher program, Mango Materials is working with Lawrence Berkeley National Lab’s Advanced Biofuel Process Demonstration Unit (ABPDU) to test parts of their biopolymer production process. Dana Bye from the Office of Energy Efficiency & Renewable Energy talks about Mango Materials and this collaboration in a recent blog post. Mango Materials was proud to be selected as an alumni innovator (LAUNCH Green Chemistry Cycle) to participate in the Circular Innovation Summit. This summit brought together members from large companies, start-ups, and other sectors (government, investment, etc.) to discuss the future of the circular economy and how we can all work together to get there. The Huffington Post summarized the two-day summit along with featuring two awesome companies, Kiverdi and Ecovative.